Firstly what is VSL? – it means Video Sales Letter, so imagine being able to paste text into a video script transcriber that will transform your words into an audio video presentation – in an instant. Yes, you can turn text into video, you can take any article and create an audio/ video presentation or ‘sales letter’ and post on your blog, website or youtube and publish all over the internet. Most people don’t realize that there are many different paths to creating a successful online business, every website is different. “One of the most common online income strategies is to create a website and publish keyword targeted articles and wait for the visitors to come by“. If you set up enough of these pages and websites you can make a lot of money and if you are someone who creates info-products and then you need to create a sales page for each of those products and try to bring in traffic. Of course, there’s also the possibility to expand your income through affiliates. This strategy – however – is not as easy as it sounds. Unless of course you are an expert in sales and writing quality content and other conversion tricks. The number of articles needed may be fewer. But typically the more articles and written content you have ‘the wider the net‘ so to speak, the greater the chance of success. But if you don’t like the idea of writing hundreds of articles, then this new software may be a godsend for you. If you aren’t yet using videos for your online marketing efforts, you are really missing out on a lot of traffic & conversions. Studies have shown that video marketing converts as high as 30% more, than the standard all text website, which typically convert at only 1 – 3%. There is no doubt that video is quickly becoming the fastest growing method used today for getting marketing messages and content online to attract visitors and this type of marketing is also proving to be the easiest ways to get a lot more free traffic. So if you really want to boost the conversions of your sales pages then you should consider creating a video sales letter (because they convert at a higher rate than text). Creating Sales Videos is a hassle, it can be expensive and complicated and often is a big hurdle to overcome in order to create a quality video sales page. The purpose of this product is to provide internet marketers with software that allows them to create high-quality video sales letters – simply. The concept of a text sales script with voice over has been used very successfully by most of the top marketers for a while now but they were often difficult and time-consuming to produce. So only the ‘big boys‘ or those who could afford them made, used them. Now that has all changed and I have to admit it’s useful software in that it makes the entire process from text to video very, very easy and quick. Compared to other video creation products in this niche, it’s a little more expensive, but if you are serious about creating video sales letters (or you want to create a lot) then this is a worthy investment and nothing matches it for the sheer speed it can create a sales video from text. You will be amazed. The product includes many features that can be used to create top-notch video sales letters as good as the best you have ever seen. First, there are plenty of templates to choose from. You can even use your own custom template, images, or plain text. You can import photos, screenshots, and even videos onto the slides to make your presentation. (I think the selection of available templates is quite useful). Second, there’s no need to create lots of individuals slides. (This is a huge time saver!) All you have to select which templates you want to use and then upload your text. Then you choose which part of the script you want to appear on which slide, by copying and pasting a simple symbol to different areas in the text. Then, click next, and all the slides are created for you. You can then edit and reorder the slides as you wish. Third, voice over recording feature. You have a few options here. You can record your voice in-sync with the slides on the screen. You can upload an already premade voice-over track*. *If you don’t have a high quality microphone when creating your own voiceover, it might lower the quality of the video. However you can always use Audacity a free downloadable multi-track audio editor and recorder that you can use to make quality audio tracks or hire a professional voice over artist to keep it really top quality (You can find these services on Fiverr – for example). As you can see, this program has plenty of features that allow you to create the best video sales letters for your presentation and product promotions. For starters, I like the entire user-interface and design. It’s really simple and there’s only very small learning curve, unlike other video editing programs. I also really like how this program eliminates the need for you to use several different third party programs to create a video presentation. You don’t need to open an audio editing program and a slide show program and another program for graphics. VSL 2.0 includes all of these features in convenient place. It’s a complete package and includes the best of all the video editing and audio editing programs. I also liked how it’s easy to divide the script into individual slides. It takes a couple of seconds, and this could be done automatically too, but I recommend that you create your own script breaks because the software doesn’t always create the script on the slides, exactly as you may want. The speech to text option I thought was really great because you can also select the language you want and the software will create the voice over to match your script, without the need to add a separate audio track. I especially liked how once you have your script setup, you can then change the wording on the slide so that the voice over could be different to the visual text or how the text can be invisible (hidden under a photo or image) and the voice over will still be as you scripted. This feature alone opens up numerous possibilities to insert photos and images to keep your viewers engaged. The one problem I had with this product, was the initial offer price, because when you see the price tag ($97) you’ll probably be put off, or at least be a little reluctant unless you have a good budget. Then I didn’t like that there are 4 up-sells on top of that. I’m sure these are all useful but I don’t like being hit with ad-ons when all I want is the main product. I don’t know why the product creators do this (perhaps it makes the initial offer seem cheaper?) Because there’s really no way to know if it’s right for your business without first buying the product. I think it would be much better if there was a free trial version to let people get the feel of the product, because once you see what it can do – you will be very impressed. But, that’s a problem for the product creator to overcome. I know, I was resistant at first. BUT now that I had it, I loved it and think the price was a small issue. In fact I believed it’s very inexpensive for what it can do and I’m sure you will too, once you get to see how quick and easy it makes creating marketing videos can be. The other issue is the automatic translator, as I have already said (and it’s the same for Google translator as well). Individual words or short sentences are ok but anything too long will get lost in translation. So be aware that it doesn’t translate long sentences very accurately. I recommend hiring an actual human translator (like on Fiverr) to take a look at the final product and fix any mistakes. There is now an updated version VSL 3.0 which is more expensive and has an ongoing monthly or yearly renewal fee. It has better features than version 2.0 and solves some of the technical issues that version 2.0 had. Unfortunately they haven’t really given any existing 2.0 version owners / users a great deal to upgrade, to version 3.0, which is a little disappointing. “I did attempt contact them, to ask about this, as I an existing customer and have version 2.0. But after many emails and attempts to contact the owners (or in fact anyone) I got no response”. You can view the updated version 3.0 in the video below. Other than those issues, with the 2.0 version, that seems to be solved with the new 3.0 version. The product is top-notch, and I do recommend it for anyone who is planning on creating a lot of marketing videos, video sales letters and information videos. I would suggest that you only buy this program if you plan to create multiple sales videos (and once you see how quick and easy it can be done – you will). It might not be worth it, if you just want to create is one or two videos. 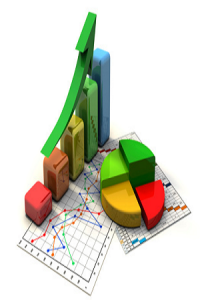 It depends on your project, your budget and you long term plans for your internet business. All in all, I recommend this product, it’s an awesome tool, (despite their poor customer service). You can use to spice up your sales pages and boost conversion, earning more money in the long-run! “However, I do think you should also check out Video Maker FX if you want to consider a high quality, low cost video creation software option that’s fun and easy to use”. 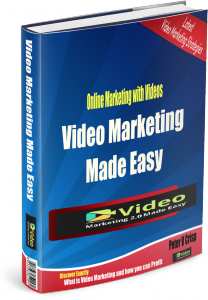 I also have a book called Video Marketing Made Easy and this easy to understand information is unique and up-to-date and will get you great results for any online business using wanting to use Video Marketing. Chapter Five: 10 ‘do’s’ you have to apply for Successful Video Marketing. Chapter Six: 10 ‘don’t’s’ you have to avoid for Successful Video Marketing. YES, Videos are an ideal way to tap into a new audience and boost profits without increasing your advertising budget. So if you have enjoyed this post “What is Easy VSL” then feel free to socially share and leave a comment below. “So please accept my bribe and leave a comment. 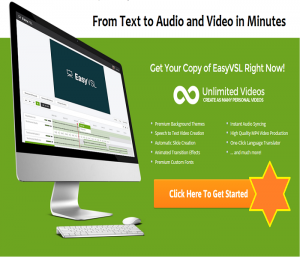 60 comments	convert text to video, easy vsl review, text to video software, What is easy VSL? I’ve been using iMovie to create training demos for an online class, and the time it takes to create just one video is astounding. I can see this as a way to get more done, and start using videos for my online products as well, or even the You Tube project I’m thinking about! Thanks for sharing your thoughts on this software. I agree, a free trial would be nice. And I’m happy that you can do your own VO — because although that computer generated VO is quite smooth, you can still tell it’s a computer voice. I didn`t know that videos were that effective at geting a message across the audience, and i really have to start looking foward to trying this idea. And it`s true, people do pay more attention to someting they see rather than something they read. The only setback is the amount of time one must spend making the videos. 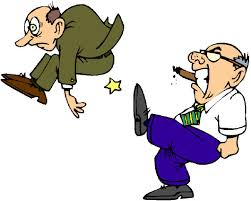 I have no idea that creating a sales video can be so much trouble. By listing all the feature here, I can safely say that I am not ready to make a sales video. LOL. I am not that technological savvy. I think using a video recorder from my mobile phone is already a progress for me. But I think I will need this software for my shaving website. I want to show people how to shave the right way. So far I always thought that my mobile phone is enough. You give me another perspective. This is so true I think a good video with some enticing information in it will increase sales and makes you look more professional all while building trust and confidence in the author. Making it easier is a great idea… also the price is not that bad and should pay itself off shortly with increased sales. Video Sales Letter. That’s good to know. So I can type into the machine and it will come back as a voice? I was wondering can you change the voice that is on the video on your website? Sounds easy to use with the template system and the voice over but how long does it take to master this system? One persons small learning curve is another persons mountain. Overall it sounds like a handy piece of software to have but as you say the price and the upsells can be a problem. I know i should do more video marketing but right now i am pretty new at this and I am still try to get the concept of this whole online thing. I have been told repeatedly that there are some thing you just need to spend money on and video is one of them.Your description of slugging it out with a blog and a 2-3% conversion rate doesn’t help my morale any. All in all i know eventually i will have to go video but it’s not the time yet as I barely get my content out. What do you think? Am I making a mistake? Any and all advice would be appreciated. I’d like to thank you first and foremost for your quality post. I have been looking for a way to incorporate videos into my own affiliate campaigns but I don’t have the resources or even know where to start until I came across your post. This seems like a perfect fit and like something I will get a lot of use out of. Is there any other programs you would recommend to get ahead in the affiliate world? Hello, Brandon you can take any article and create an audio/ video presentation or video â€˜sales letterâ€™ and post on your website in less than 10 minutes. This software makes the entire process from text to video very, easy and quick. Hi Peter, thanks for sharing this great resource. It is interesting to know that a written article can be converted into video stream in less than 10 minutes by using some kind of software. Its really amazing! I have tried before using video to record for my presentation but the video/audio quality never turns up well. It is also very time consuming preparing the setup and actual shooting. The price tag of $97 is worth investing if we are doing a lot of video creation. Good list of resources, it covers a lot of things affiliate marketers need. I have been interested in learning to make videos but haven’t gotten into it yet. Getting good, relevant and high quality photos with proper licenses is also a pain, especially in the niche I am in. Lots of great photos on Google but almost none of them come with licences which allow commercial use. Hello, Matthew Thanks for your comments. There is no doubt that video is quickly becoming the fastest growing method for getting content online to attract visitors and is also proving to be the easiest ways to get a lot more visitor engagement with your site. So if you want to boost the conversions then you should consider creating a video sales letter because they convert at a much higher rate than text. In the past creating sales videos was a hassle and it was complicated which for many was a big hurdle to overcome and that’s where Easy VSL 2.0. comes into the picture and solves a lot of those early problems. Your site is a very well laid out site. You are very informative on your topic. I also feel you have done a very good job of monetizing your site. I believe your site should be on display as the “ideal” way to present your data. I can find nothing to criticize your site on. Great work! Thanks so much for the great information on your page! I always knew that video marketing converted to sales better than non-video, but I wasn’t aware that it converted approximately 28% higher. That’s an incredible statistic. One would be foolish to not incorporate video into their posts with a statistic like this. Thanks for the insightful information! This sounds like it might be easier than making some grainy YouTube video that may turn dome people off. I haven’t dabbled in the video marketing side of affiliate marketing, but I have heard about the 30% sales conversion and I am worried that I am missing out on something big. Of course I would prefer to not be in the video so this may be a good product to consider. Thank you. Great work. Likes it very much. As the site is something which personelly interests me. Though there seems space to add some more banners in side bar and a few more than wealth affeliate and amazon. But real nice work as Im myself in just couse 2 lesson six. Hope to have same reuslts soon. Thank you for your professionally written page. I appreciate the transparent review discussing both the pros and cons. You clearly outlined VSL. I’d be curious to learn a little bit about VSL’s competitors and any other options that might be a good option for a beginner like myself. If you have any other pages or websites that discuss competitors please let me know! i like this post it breakdown the product in a way which can help people make a good decision. I have recently started to run my own websites etc and this is exactly the sort of thing I need, its hard trying to learn how to do all this online stuff so we need things like this to help us along. People are very visual.. Your audience enjoys to hear about your ideas but they love it even more when you show it to them instead of just telling. Thanks for sharing this software with us, it makes a difference. Text is good for short introduction but most people won’t like to stick around when it’s just ocean of words – Videos are the next level – the more visual content is the more attractive it appears. No doubt video marketing converts 30% more, I would not be surprised if that number is getting even higher day by day. That’s good news for us as we can leverage on that. I believe Easy VSL is a very big time saver for most folks due to its simple yet effective nature. What do you think? It’s even better that complete beginners can give it a shot & make a representation of their project/product so much better. 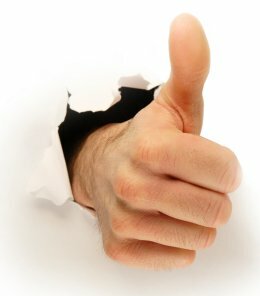 I definitely give it thumbs up, you get so much out of it. I like this review of Easy VSL, it’s good to see what this product does and how it can help me with creating sales videos. I am bad in front of the camera, actually even my voice is weird and makes it uncomfortable to create one. This looks like the right kind of software if you don’t want to do the video yourself. It does seem very easy to use and will definitely give justice to the price tag if you will be using the software on a daily basis. However, I am a bit worried that if you keep on using it and others also will use it often, will your videos still look unique? The sample video also sounded a bit monotonous, is there a feature to make the voice a little livelier? Thanks! Hi Peter, I think that this a a great review. You have perfectly elaborated why people should use this and who needs this. I also like how you added the ‘bribe’ so readers can post a comment. You can add a star based rating plugin to make it easier for the readers to see how much you rate this product. This tool seems to be awesome. I already have scree-o-matic and it’s pretty cheap ($15 annual) compared to this one. But it’s just a one-time fee, right? If so, it will definitely be worth it. That Video Sales Letter software product looks like a very useful and powerful tool. I had a look at their sales homepage, unfortunately, go bored by listening to their sales videos and demo videos. I would not mind some sort of sketcher software that draws animation using a hand and some sort of text to speech facility. Software like that would, for sure make my videos convert better and add a nice new dynamic to my blog. Interesting product! I bet this is very useful for people starting up online businesses, and even aged online businesses. I’m actually interested in how this program transforms your text into video, oh how far technology has come. The program is a bit expensive for my taste and right now I don’t have much use for it. Also you said the program has 4 upsells? Is it necessary? Or are there enough tools in the basic version to get by for your average person? Thank you, Peter, for this great article! I am new to Internet Marketing, and I am currently researching ways to be successful. I agree the video marketing and visuals, in general, are very helpful. I would pay $97 if this is going to help my business but I do not like the upsales part. Also isn’t it more personal if you create those videos with your own voice and presence? Don’t people connect faster if they see your face, the tone of your voice, etc. Hello Katie. 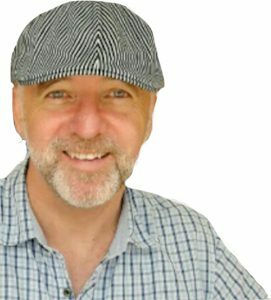 Compared to free, Then yes it is expensive.. ha ha but it pays for itself very quickly as it helps prolong visitor engagement and improves the delivery of your message to your readers. Being able to convert text into video takes the pressure of creating video by you needing to be on camera or using your own voice. For some people this is an issue and this problem is solved very easily with VSL and it produces a quality product that improve traffic and conversions to your site. Thank you for your comments. I loved the layout and the sliders, The images are nicely presented and I was easily able to navigate around and understand the concept and your review was very through. Wow… I got kind of excited to see what this was all about. I really was thinking for a second that this could be something I would like to purchase. Unfortunately, the video production, while an awesome idea, sounds way too much like a robot for my taste. I am sure it will improve but the thought behind it is excellent. Anyway, thanks so much for sharing I enjoyed reading the post and watching. That’s a great tool & maybe it will be useful for me as I am bad in making videos but actually, the price is too high for this tool & I got shocked when you mentioned that there is 4 upsells, I hate Upsells! I would be happy if you recommend to me a free tool for the same purpose or at least cheaper than this one, thanks for sharing & keep up the good work. Hi Peter I was not aware that video marketing converts as much as 30% more, what study did you get this from, I’d like to read a little bit more on this topic. I’ve been too busy creating content on my blog and realised that I should probably start thinking about producing some video to be more effective. I’m going to get right on it! As you were recommending this product I thought you might have already incorporated this into your site but didn’t see it, have I missed it? This is an interesting product you’re promoting. I didn’t know that video sales had that much of a difference in conversions compared to all text. That’s interesting because I mostly see all text advertising on many of these product marketing pages. I’ll have to look into that for sure. Nice review and awesome use of the visual and I really liked that you have a video there at the top for sure. Never even knew about this product until I looked this over. Keep up the good work in my books. The engaging the customer to leave a comment and get a download is a pretty good twist too.